Stevengraphs are woven pictures made like fancy ribbons. 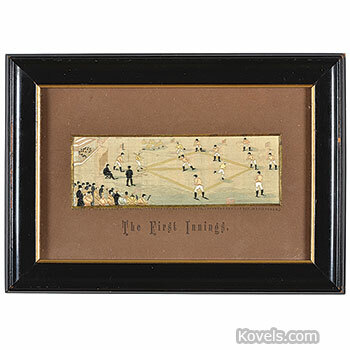 They were manufactured by Thomas Stevens of Coventry, England, and became popular in 1862. Most are marked Woven in silk by Thomas Stevens or were mounted on a cardboard that tells the story of the Stevengraph. Though Stevens died in 1888, his stevengraphs remained popular until the beginning of World War I. Other similar ribbon pictures have been made in England and Germany.